If we want to help make urban farms viable we must discourage lawns, mandate composting, bring back home-ec, and treat farmland like it’s valuable—and that's just the tip of the iceberg. Earlier this fall, Sen. Debbie Stabenow (D-Michigan) put forth proposed federal legislation designed to bolster urban agriculture on a national level. The bill—which may or may not be considered in the upcoming Farm Bill—aims to make $860 million in new investments for urban agriculture over 10 years. What could urban farmers do with that money? Plenty. But it won’t help if we don’t fundamentally rethink how our food comes to us. In light of the fact that most people in the world now live in cities, we might begin by considering urban agriculture not as an isolated enterprise, but as part of a broader food system integrated with peri-urban and rural farms. 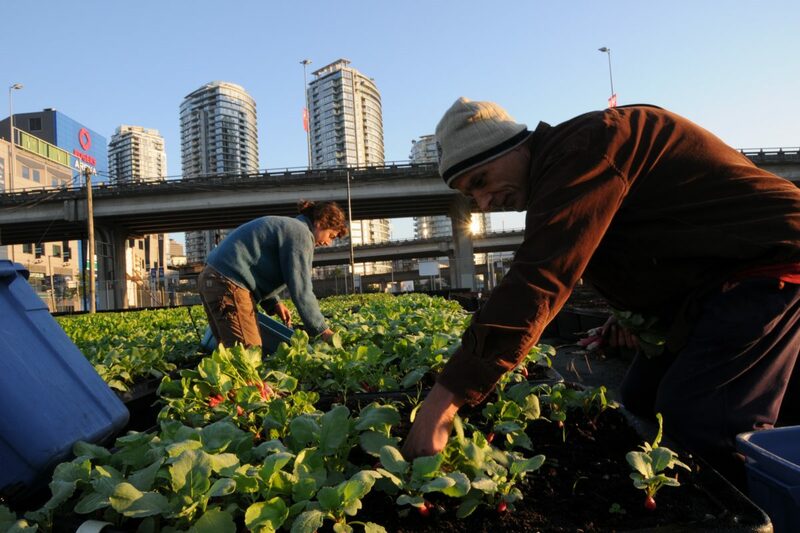 I’ve been farming for the last 40 years, much of that time on urban and rural farms in California, and for the past eight years at Sole Food Street Farms in Vancouver, British Columbia. My work has provided me with ample quiet time in the fields to think deeply about these things. Here is my urban food manifesto. 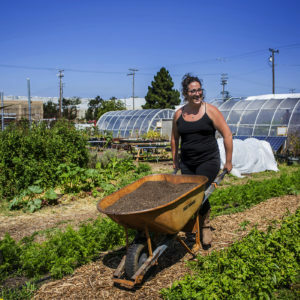 Every municipality should establish publicly supported agricultural training centers in central and accessible locations to help today’s garden-scale projects grow and new, larger commercial farms take root in cities. I’m not talking about think tanks or demonstration gardens. I’m talking about working urban farms that model not only the social, cultural, and ecological benefits of farming in the city, but the economic benefits as well. We can talk about all of the wonderful reasons to farm in urban areas—proximity to populations, markets, and labor, improved food quality for urban dwellers, the greening of neighborhoods, direct visual, and participatory connection to farms and farmers—but until we can demonstrate that it’s possible to make a decent living doing it, it’s going to be a tough sell. To help make this a reality, every city should maintain teams of trained farm advisers to offer their expertise to new urban growers. We need to give farming, cooking, mechanics, plumbing, and carpentry the same status and attention as math, English, and the sciences. These real life hands-on skills were commonly taught when I was in public elementary school. And, even in this digital age, we will still need people to build buildings, make clothing, repair machinery and infrastructure, and grow food. Putting more respect, honor, and funding behind teaching these skills helps to keep the real world spinning. A great deal of public and privately owned arable urban land currently lies fallow. 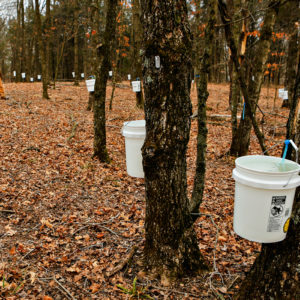 This land could be rented to new farmers under long-term leases. We need to recognize that there is not necessarily any relationship between land ownership and land stewardship. The only requirement for land ownership in our society is access to capital. That’s not enough. I believe that ownership of land should come with a set of responsibilities. Building inspections are common practice prior to many real estate transactions; we should also start doing land inspections, including ecological assessments and baseline documentation, on every piece of land over five acres. Every land purchaser should be required to attend a stewardship and restoration training course based on the particularities of that piece of land. This will move land away from its status as commodity and bring some sense of stewardship into ownership. Every community should support the construction and funding of a permanent, covered year-round farmers market space in a central location. Detroit’s Eastern Market, and the new Boston Public Market are two examples. Providing this type of physical space is just as important to our civic health as the public swimming pool, the sports fields, schools, churches, and libraries. Every new permit for a housing development should include a food-production component on a scale relative to the number of people who will live in the development. And every new office or retail building should be engineered for a full-scale rooftop food production component, including greenhouses warmed by the spent heat vented from the building. Today’s agrihoods, Eli Zabar’s garden located over his store in Manhattan, and the larger commercial scale Lufa Farms in Montreal are great models of integrating food production into urban retail, office, and living spaces. Every neighborhood, school, and church should be required to restructure existing institutional kitchen facilities to accommodate cooperative canning, freezing, and dehydrating services for their neighborhoods during non-peak hours. Sole Food Farm in Vancouver, B.C. Every real estate transaction should include a small urban farmland preservation tax from which lands could be purchased specifically for the production of food, and those lands could have protective easements that require agricultural use in perpetuity. We should also return perishable fruit and vegetable production to individuals and neighborhoods and use professional farmers to grow field crops and proteins. 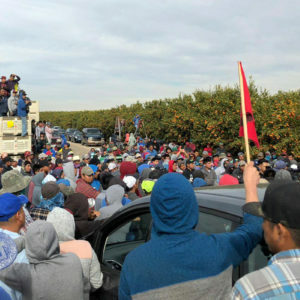 Unless we dramatically increase the number of people growing food and stabilize world population growth, full-time professional farmers in the future may no longer have the luxury of raising fruits and vegetables. They may need to focus on the more essential grains, pulses, and proteins. Growing fruits and vegetables should become the responsibility of individuals and families to grow for themselves and their neighbors in front and backyards, on balconies and rooftops, and in community garden plots. Every municipality should initiate a phase-out of all home lawns. To do this, they must provide neighborhood training programs and technical support for home and building owners to replace those lawns with food production. We need a full-cycle food system that allows for the return of organic waste via central regional composting facilities that can support the nutrient needs of both urban farms and farms on the fringes of urban centers. Every community could be composting all its cardboard, paper, old clothing, shoes, restaurant and grocery store waste, and on and on. While farming in the southern California suburbs in the 1980s, I was threatened with jail time for converting vast amounts of urban waste that was headed for the landfill into compost. Thankfully, many communities now mandate composting and manage facilities to convert organic waste into compost. Every community should own a portable rock grinder that could be used by local farms to crush rocks into valuable minerals needed by our soils. Global supplies of mined phosphorous, an essential building block for plant life, are dangerously low. Lets get over our phobia around human waste, stop spending billions of dollars to flush it away polluting our rivers and oceans, and start safely recycling it onto our farms and gardens. Along with growing food, farmers must also be seen as holding another critical role—using their land to sequester water and carbon. Anyone who owns or manages land has a huge opportunity and a responsibility to address two of our greatest global challenges—scarcity of fresh water and climate change. Farmers need to learn to slow and spread surface water and allow it to percolate into the soil while improving soils to store and hold carbon. These are urgent and essential roles that we need to play now and into the future. When it comes to food, what we are really facing is a crisis of participation. We don’t really need the federal government to achieve any or all of the above. We can roll up our sleeves and talk to our neighbors and community leaders about making these things happen now. All that’s required is a little imagination and the willingness to make a start. The above manifesto was based on an excerpt from Michael Abelman’s most recent book Street Farm: Growing Food, Jobs, and Hope on the Urban Frontier. The author is completely off base in asking for tax money to support his utopian dreams. If he wants urban gardening. He needs to find people to fund it. Not named taxpayers. The idea is fundamentally flawed as it doesn't account for the inherent inefficiency in hiring gov't employees to administer the program poorly. I've always had a question about urban farms: cultivated foods on big cities are safe to consume?, this is due to air smog and other pollutants. Are there any scientific research on it's safety?